Wheel of Bitcoin?- UPDATE: Wheel of Bitcoin is live and paying instantly to your Xapo account, with no waiting between claims! Android app includes happy hour with 2X payouts from 4pm – 6pm PST. ?Wheel of Bitcoin is our new web app for anyone to instantly earn bitcoins by spinning the wheel. There is no registration, no minimums, no fees and you can spin the wheel as often as you want! You?no longer need to be a member of Coin Tasker to take advantage of instant payments for earning bitcoins! Instant payments are only available?to those who use their?Xapo?email. You may alternatively enter a bitcoin address but will need to earn 5430 satoshi before being paid, so obviously we recommend using your email to earn instant payments. Get the official Wheel of Bitcoin app in the Google play store and start getting free bitcoins sent instantly to your Xapo wallet! Get Paid To Watch Videos?- UPDATE: Vidybit is working and our new android app offers 2X payouts for every video watched! Vidybit is our new web app for anyone to instantly earn bitcoins watching videos. There is no registration, no minimums, and no fees! You?no longer need to be a member of Coin Tasker to take advantage of instant payments for earning bitcoins by watching videos! Instant payments are only available?to those who use their?Xapo?email. You may alternatively enter a bitcoin address but will need to earn 5430 satoshi before being paid, so obviously we recommend using your email to earn instant payments. Bitcoin Keno?? UPDATE: Bitocin Keno?is live and paying instantly to your Xapo account, with no waiting between claims! Android App is available on site but not on Google Play. 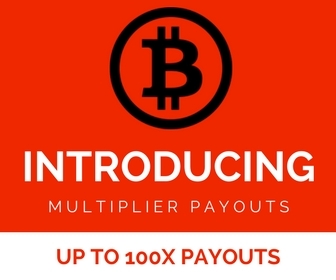 ?Bitcoin Keno is our new web app for anyone to instantly earn bitcoins by playing free Keno. There is no registration, no minimums, no fees and you can pick numbers?as often as you want! You?no longer need to be a member of Coin Tasker to take advantage of instant payments for earning bitcoins! Instant payments are only available?to those who use their?Xapo?email. You may alternatively enter a bitcoin address but will need to earn 5430 satoshi before being paid, so obviously we recommend using your email to earn instant payments. Schrodingers – Ask. Answer. Earn. In short, Schrodingers is Yahoo Answers that offers bitcoin rewards for your participation. It’s a fun rewards program that gives you free Satoshi for sharing what you know best. It all began with Erwin Schrodinger’s thought experiment, Schrodinger’s cat. He imagined placing a cat in a sealed box with a device that had a 50 percent chance of killing it. Schrodinger pointed out that according to quantum physics when the box is sealed the cat is both alive and dead. its only when the box is opened that we see a single definite answer but until then the cat is a question of probability. Identically, we always experience the need for an answer so we use a knowledge database to ease our curiosities. That’s where Schrodingers.net comes into play. As a scientist you can ask and answer questions, vote on data and choose the best answers. Every interaction will grow your Satoshi balance. So what are you waiting for? Join us! Lucky Bits?- USE PROMO CODE: CoinTasker for 10 credits?upon sign up. Lucky Bits is a new bitcoin GPT site that looks quite promising. It doesn’t have nearly the same number of tasks as we do, but at first glance it does appear to have a great selection os tasks and a few unique opportunities, which is why we’ve listed them up hear near the top of our list. With that being said, we have yet to confirm any payouts but we will update the payout status here as soon as we’ve been paid. Lcuky Bits currently offers 7 offerwalls, all of which are found here on Coin Tasker as well, but they also offer a selection of games and giveaways which are unique to the site. Games, which offer bets as little as .1 credits include Plinko, Roulette, Dice, and Minesweeper. While Lucky Bits is a new site that hasn’t been around long enough to have built a solid reputation, it does appear at first glance to have a lot of promise and it may be worth getting in now while you can build a downline of referrals and earn anywhere from 5% and 15% of referral earnings. Bits for Clicks?- Advertise your bitcoin related website and get paid to view bitcoin related ads. Make sure to remain active (log in at least once every 30 days) to ensure your account is not deactivated. BTC Clicks -?One of the better bitcoin paid to click sites. ?BTC Clicks offers a?free and premium membership option, allowing members to earn through direct and/or rented referrals. Premium members get multiple advantages over an standard member, including 2X earning opportunities. Premium members earn 200% from their own ad clicks and 160% of their referral ad clicks as opposed to the 80% standards members earn. Minimum withdrawal is 0.1 mbtc. Box Bitcoin -?Get free bitcoin?by selecting a treasure box every ten minutes. Each treasure box will have between?10 and?100100 satoshi, with 28 boxes to choose from. Get 20%?referral commissions. Visit Bit?-?Browse websites to earn bitcoin for each page visited. Simply visit and enter your bitcoin address to get started. Payments are sent automatically to a microwallet?with a low withdrawal limit. CoinAdder?- Another paid to click site with a 500 satoshi registration bonus and payouts at 50 satoshis per ad viewed. Bit PTC?- Another simple paid to click site, with short timers for quick and easy earning. Payments are automatically sent to a microwallet with a low withdrawal limit. Earn Free Bitcoins? (1/2)- Earn bitcoins by visiting websites for 1 – 5 minutes each. Earn Free Bitcoins? (2/2) – Another profitable website for earning bitcoins by viewing websites between 1 and 5 minutes. BitcoinGet?- A little bit like Coin Tasker, but only with Crowdflower tasks and videos. Please be aware, Crowdflower partners do not all offer the same tasks. The micro task provider decides which partners can offer their task, therefore you will often find a whole new variety of tasks by checking out other partner websites. Coinurl – Earn bitcoins by shortening links. By shortening links with Coinurl you will earn BTC every time someone clicks on your link!